Shannon Hargrave: Become a Coach! If you haven't heard of Beachbody before, they're the company that created programs like Insanity, P90X, T25, Turbo Fire, Chalean Extreme, Body Beast, Shakeology, 21 Day Fix, and many more. They have Independent Team Beachbody Coaches to help their customers get the most out of their programs, which is what I do. I run Online Health and Fitness Support Groups to motivate and hold my customers accountable. I teach them about Clean Eating and how to make a LIFESTYLE change. As a coach, when people sign up, you direct them to your own Beachbody website. You make commissions from sales off of your site and you make team bonuses if you choose to build a team. You don't have to keep any inventory, deal with customer service, or worry about shipping. Beachbody does all of that for you! It's great if you're looking to make extra money or even enough to quit your full time job. If you're interested in Coaching long term, you can make 6 figures within a couple of years, which you do by building a team of coaches. Once you start building a team, in addition to commission, you get what's called Team Bonuses, which can pay up to several thousands per week. Coaching is not only tons of fun, but it's incredibly rewarding! Get paid weekly - You receive a 25% commission on anything somebody buys from Beachbody using one of your links. Somebody purchases a copy of P90X, you get a check for $29.96. Get 25% discounts on all the products, including merchandise - If you're using supplements today like I am, just the discount savings alone on let's say P90x Protein Bars and P90X recovery drink covers the $15 monthly website fee. Have unlimited income potential - - You can, if you choose to, create a team of coaches as well. You can create a business based off of a team of people who are passionate about the same things that you are. I tend to attract women who are passionate about health and fitness,specifically clean eating stay at home momma's. But I also have some individuals who want to grow a business and create a full time income! The saying you attract who you are is completely true! 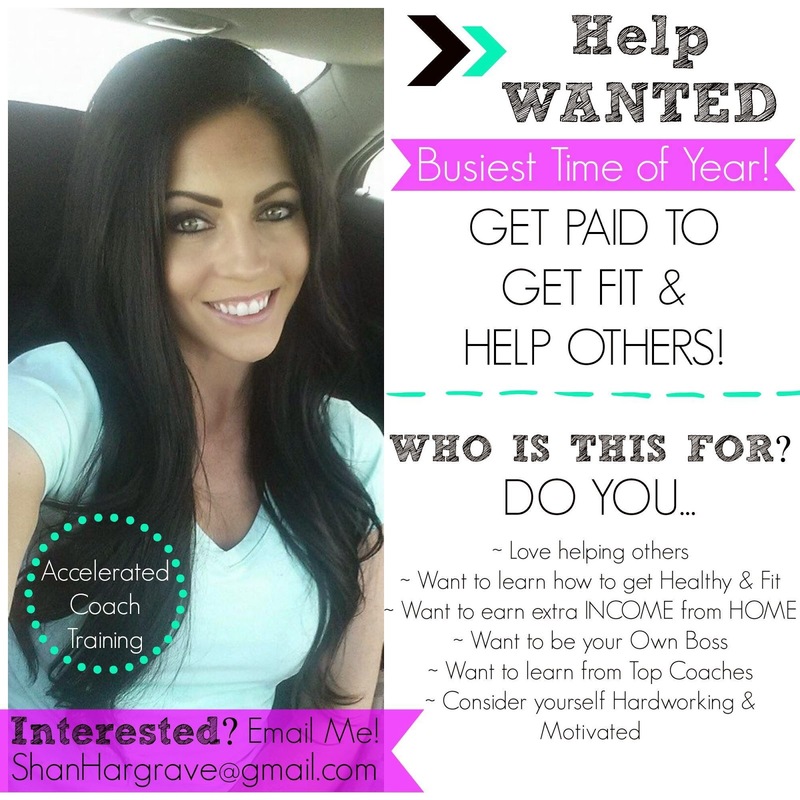 Get paid to be healthy and fit and help others get healthy and fit! NO INVENTORY TO CARRY, BEACHBODY TAKES CARE OF EVERYTHING! I have found a new passion for health and fitness and have never felt better. I'm not trying to sell you a miracle pill, extreme diet, or a bunch of vitamins you probably don't need, this is the REAL DEAL! Nothing in this program is easy, you have to work for it! I have increased confidence in all aspects of my life. I finished 90 days+ of one of the most physically challenging activities I've ever encountered. I lost weight, toned up, and I feel amazing! I can give non-expert nutritional advice based upon my experience. I don't have a degree in nutrition, but I know what worked for me and am helping others figure out what works for them. *To remain an active coach you need to have a Personal Volume (PV) of 50 points per month. Purchasing a month's supply of Shakeology (at a 25% discount) is 90PV for example and you're done. I agree with Team Beachbody's methodology that you need to use their product in order to be able to explain the benefits of the research they've done. You succeed at being a Beachbody Coach by putting the needs of others first. By reaching out to people and offerring your support and guidance. For me, I enroll my customers into my challenge groups. That is the place where I have day to day contact with them, I can support, motivate and encourage them to start and finish a fitness program. I provide them with tips and recipes plus all sorts of different strategies to get into shape. To succeed you follow the structure of inviting people to a challenge group, enrolling them into the group, helping them succeed and then eventually people become coaches as well! You succeed by leading by example, inspiring others to get into shape and by being motivated, driven and passionate about what you do! Of course, you don't have to know all the answers at first. You just have to be motivated to get started!!! Once you become a coach on the Dream Team you will be added to our closed facebook team page. There you will receive updates, information, tips, and tools to help you grow your business. This is your place to check in each day and get answers to your questions. You also will be given the option to be a part of my coach apprenticeship program. This is a 60 day group that teaches you everything you need to know about running a challenge group, how to find people to invite, how to get them started, what program to choose for them, and how to run a successful challenge group. You will be given all the tools that helped me to be successful so that you do not have to re-invent the wheel. 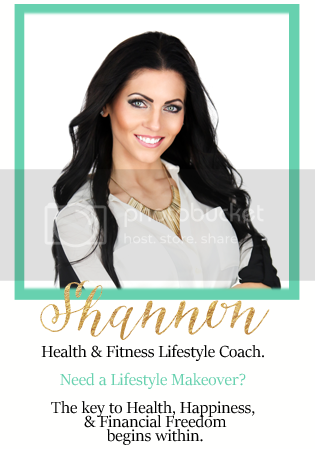 You will be given my 90 day challenge group structure, 30 day Shakeology and Clean Eating Group information, along with other valuable business building tools. You will not have to figure it out on your own. You do not run your first challenge group by yourself. Instead you are an apprentice coach in your first group. I run the challenge but you get to invite 3-5 customers into the group! This is AWESOME you guys! I sooo wish they had this when I signed up as a coach, I'd be all over it!!! You can either pay the $40 sign up fee to sign up as a Coach, or purchase a Challenge Pack (which includes ONE fitness program, along with month supply of Shakeology) - which will WAIVE YOUR COACH SIGN UP FEE, OR YOU CAN GET THIS AMAZING DEAL, which will also waive your coach sign up fee, but you get more programs for a HUGE DISCOUNT! First of all, this combo comes with the three newest Beachbody programs: 21 Day Fix, PiYo, and Insanity Max 30. Each one of these programs has a different approach and different focus. Each is 30 minutes a day or less and will help you reach your goals through your fitness journey. The 21 Day Fix will teach you how to prepare and portion healthy foods, setting the tone for diet and nutrition. The workout portion of 21 Day Fix gives you a variety of different workouts from cardio, strength training, pilates, and yoga. It also includes a modifier in each video. Or, if you’re ready, you can jump into either PiYo or Insanity Max: 30 to get things really rolling. The best part is that you can use the 21 Day Fix diet approach with either of these other programs! BUT with the Coach Showcase Challenge Pack will get you all this stuff for $295, a savings of over $135! And follow up Shakeology shipments would only be $98.00. That’s right, save over $135!! You don't have to start coaching alone. It is my job to provide you with the tools to succeed! Check out the apprenticeship program.